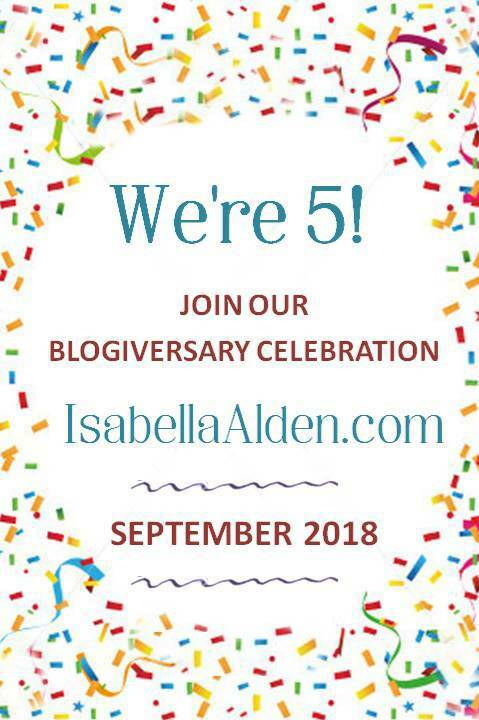 If you love stories that feature believable characters trying to find their way through life’s struggles, look no further than Isabella Alden’s books! 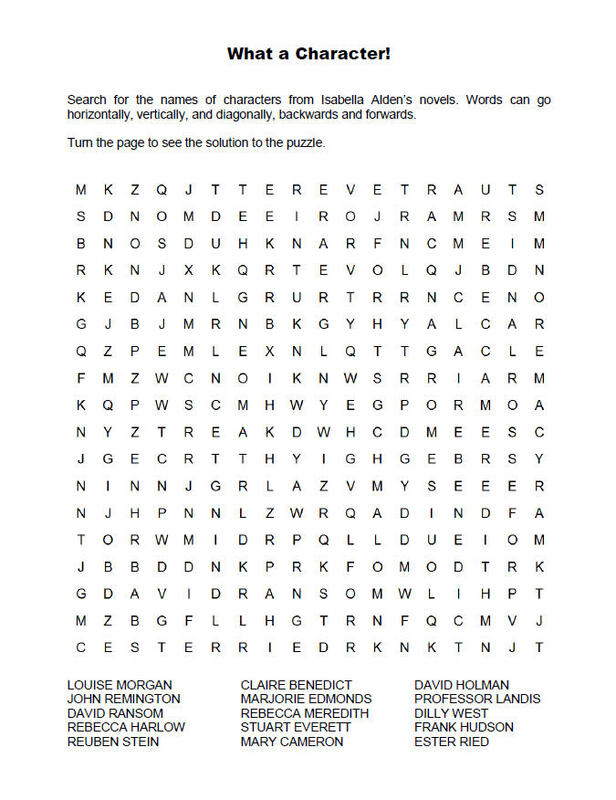 This word search puzzle features the names of some of Isabella’s most beloved characters, who ultimately learned to trust God to guide their daily steps in life. See how many names you can find! Words can go horizontally, vertically, and diagonally, backwards and forwards. Once you complete the puzzle, let us know how you liked it by leaving a comment here or on Isabella’s Facebook page. To play online, click here. Then, click on a letter and drag to reveal each listed character name. You can play the puzzle online until October 30. To print the puzzle and share it with others, click here. The print puzzle never expires, and it’s more challenging than the online version! ← A New Free Read! This looks like so much fun! I’ll have to wait until I’m at WiFi to play, because for some reason my phone won’t let me, lol! I will miss these posts when the celebration is over! 234 seconds. But I wasn’t really trying to hurry. I forgot at first that it was even timed. Just reading those names makes me want to go read some Pansy books again. Yes, Isabella has created some memorable characters. I’ve wondered how she was able to keep the names straight and use different and well-suited names each time! *rubs hands evilly* Welp, here goes…. 244 seconds! 😀 And now I’m intrigued by the character names. Definitely to be read!